Not only have sanctions of new roads to rural areas been low, the condition of existing roads and highways are crying for repair work in the hill state. NEW DELHI: In yet another feather in its cap, Himachal Pradesh has bagged three awards for best performance in the Pradhan Mantri Gram Sadak Yojana (PMGSY). However, the ground reality seems to tell a different tale. 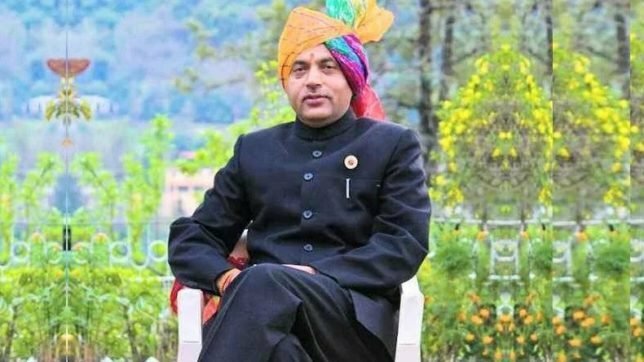 Last week, Chief Minister Jai Ram Thakur had announced that Himachal Pradesh had been conferred three awards under different categories by the Ministry of Rural Development for best performance under PMGSY during 2017-18. The Chief Minister informed reporters that the state had been awarded for best overall performance in terms of quality during 2017-18 and had also been adjudged among the top three I with regard to "maximum construction of roads in length with green technology" under PMGSY during 2017-18. He said that the state had “overachieved” the target of construction of 1,700 km roads set by the Centre and had built 1,773 km of roads in the state, providing connectivity to rural habitations under PMGSY. Thakur said 72 km roads had been constructed in green technology, adding that since the state had "overachieved" the target during 2017-18, it had been further raised from 1,700km to 2,400 km this year. He said that 1,214 km a new road length was constructed to provide connectivity to 59 habitations having population 1,000, plus 12 habitations of a population between 500 to 999 and 43 habitations having a population between 249 to 500. While this is a significant feat for the nearly 10-month old Jairam Thakur-led BJP government, the ground reality gives a different picture altogether. The significance of roads in the hilly terrain of Himachal Pradesh can be best understood by the rural population which still travel miles on foot to procure even basic and daily needs, and school children who have written to the state government on several accounts demanding the construction of roads and bridges to cross rivers. Take the case of Tandi Gram Panchayat of Banjar block of Kullu district, which was given the third prize for best Gram Panchayat working towards implementing MGNREGA. While local residents have congratulated the village pradhan, they have also expressed their concerns over the assessment leading to the decision. “The assessment is done on the basis of total money that was spent under MGNREGA in the region rather than actual employment generated” a source close to the government told Newsclick on condition of anonymity. Thakur had said that PMGSY was playing a significant role in strengthening road connectivity in rural areas, but according to the data on Himachal Pradesh Public Welfare Department’s official site, tribal districts of Lahaul Spiti and Kinnaur, which have a challenging terrain and extreme weather conditions, were sanctioned a mere 9 km and 0 km, respectively, as new road projects under this scheme. In fact, not only have the sanctions of roads in rural areas been really low, the maintenance and conditions of the current roads and highways have also drawn ire from the people. After receiving the awards, Thakur had congratulated the state PWD department for "good performance" and had hoped that this would continue in future. However, this serves as a fairly contradictory statement as the state’s Public Works Department has been facing strong criticism from the public over its inefficiency to repair National Highways and roads that have developed potholes and become unsafe after the recent rain and landslides. The state government recently boasted that Himachal had 69 new national highways, many of which were in Kangra district. However, the process of handing over these projects to the National Highways Department and the National Highways Authority of India (NHAI) has hit repair work. When contacted, R.K Minhas, Superintendent Engineer, National Highways Department, said he was on leave for the past one month but as the Matour-Dharamsala-Mcleodganj road had been transferred to them, they would repair it soon. The Nagrota Bagwan-Ranital-Mubarakpur National Highway, too, is crying for repairs. It is one of the busiest roads of the district and is also the gateway to Kangra. The Kangra bypass on the said national highway has been closed for about a month now since heavy rains damaged a bridge. Since no effort has been made to open the bypass, the entire traffic is getting diverted to a road passing through Kangra town, leading to traffic blockades. The road leading from Kangra to Ranital is also badly damaged due to rains but no effort has been made to repair it. The worst-affected is the Pathankot-Kangra-Mandi National Highway. Since the road was to be four-laned, it has been handed over to the NHAI. However, since the land acquisition for four-laning the stretch has not been completed, the company that has been allotted the contract for construction is not taking over the highway. In such a scenario, it is neither being repaired by the National Highways Department nor the NHAI. Against this backdrop, many local residents are questioning the basis for the assessment of these awards and are calling out the CM’s for being “self-congratulatory” on various social media platforms, while people suffer in their daily lives.